"My pain is not for me, but to inspire someone else to remain in the fight." I was diagnosed in Aug 2016 with Triple Negative Breast Cancer. 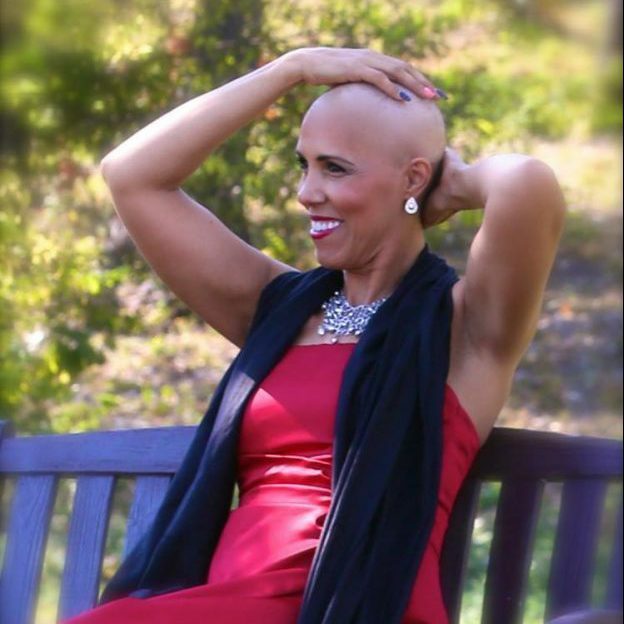 I went through sixteen rounds of chemotherapy, had a double mastectomy and 21 lymph nodes removed from under my arm. I was stage three. I was in remission for approximately a little over a year when I was told that it had returned. I am currently in the fight again. I have completed fourteen rounds of chemotherapy, multiple surgeries and now radiation. This journey was one I thought I would never be on. Cancer happens to other people, not me right? Wrong! Not going to lie, the diagnosis scared me at first but once I got through the initial fear, I realized that I am about to enter the fight for my life. So I fight. I am winning and I will continue to beat this nasty disease. No matter what I face, I realize that God goes before me and He is paving the way to my victory. My family and my faith filled friends have kept me in this fight. My pain is not for me, but to inspire someone else to remain in the fight. In some ways I am thankful that I have had this experience because I see beauty wherever I go. I refuse to allow unnecessary drama in my life anymore. Life is precious and I no longer take it for granted. I live my life everyday with purpose in mind. The scars I have are reminders of how I have continued to kick cancer’s tail and will continue to kick cancer’s tail. I want to be the miracle – the beacon of hope for others to see so they will kick cancer’s tail. I refuse to stop living. I live my life I believe more so now than I did before. Never stop! Never give up! Your victory is around the corner!